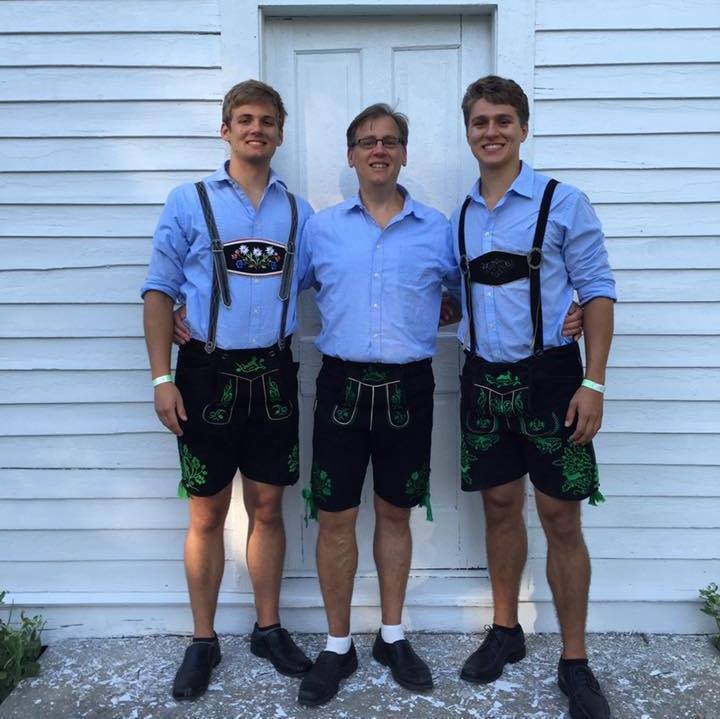 The Brueggen family has a rich history of music, especially family bands which began with the Herman Brueggen and His Jolly Dutchmen which is now lead by his grandson Gary. 1971, was the start of the name, "The Ridgeland Dutchmen", which consists of his dad Willard and uncles Harry and Phillip and family friends. "Wisconsin's Concertina Kid"—Has been performing since the age of 9. When not performing, I'm a Customer Service Rep for Organic Valley, Family of Farms at the Cashton, WI location. In 2008, Gary was inducted into the World Concertina Congress Hall of Fame. 2018 marks the 60th year of the Rhythm Playboys!!! One of the longest performing bands in the country with over fifty years of entertaining experience, the Rhythm Playboys generate energy and excitement everywhere they perform. This dynamic band is comprised of very talented, dedicated musicians from Western Wisconsin. The modern Malek's Fishermen Band plays a wide range of dance music that includes the traditional old tyme polkas, waltzes, two-steps, and schottisches as well as country, big band, dixieland, and other dance hall favorites. Malek's Fishermen Band has it's own distinctive sound that is a favorite of dancers and listeners throughout the Iowa, Minnesota, Nebraska, and Wisconsin region. Over the years, they have recorded many albums, and can be found at dance halls, polkafests, and parties in this four state region. Bill is a popular strolling accordionist and band leader in the Midwest area frequently performing at Gasthof zur Gemutlichkeit (Minneapolis, MN), Bayrischer Hof Bavarian Restaurant (Montrose, MN), Winzer Stube German Restaurant (Hudson, Wisconsin), Hessen Haus (Des Moines, Iowa) and various other public & private events and parties including the Minnesota State Fair. 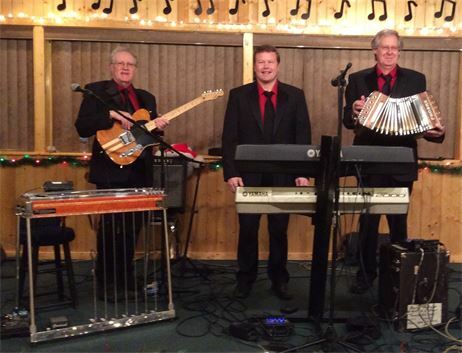 The Bill Koncar Band plays a variety of music including polkas, waltzes, fox trots, swing, Latin rhythms (including rhumbas, cha chas, tangos & sambas), and classic rock & pop tunes. Rod has been playing music since the age of 7. At 13 he started a polka band playing for wedding dances and at various clubs in and around his home town of Crosby, MN. He also taught accordion, piano, and guitar lessons and had as many as 75 students in 3 cities. The band disbanded while Rod was in college at the University of Minnesota; but during that time, Rod played "piano bar / sing-a -long" on the weekends and 6 nights a week during the summer. Rod also hooked up with Tony Jambor of "Polka Jamboree" fame and began touring with the band throughout the upper Midwest. Rod and Tony purchased the Coliseum Ballroom in Minneapolis and continued with the band playing more than 200 dates per year. The Rod Cerar Orchestra was in constant demand throughout the ballroom circuit and was booked 18 to 24 months in advance. Rod then married and started playing with the Jimmy Sturm band trying to stay a little closer to home. 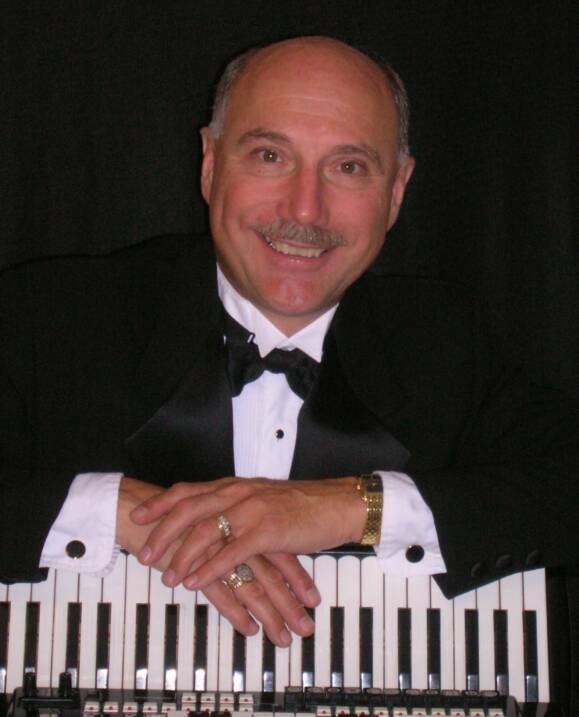 Currently Rod plays solo shows and dances as well as leading the Rod Cerar Orchestra. They continue to perform in the Midwest for the ballroom circuit, hotels, Minnesota State Fair, University of Minnesota, clubs, senior living centers, corporate events, dance clubs, festivals, polka masses, private parties etc. 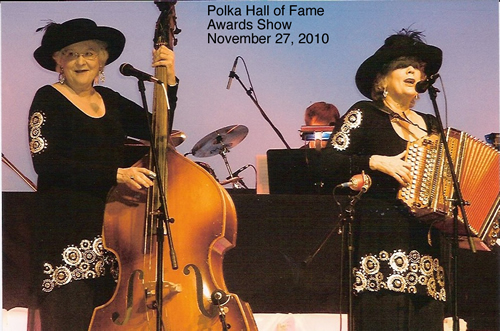 They also are starring on the nationally broadcast television shows "POLKA SPOTLIGHT" and on the "MOLLY B POLKA PARTY." Rod plays a wide variety of music for dancing, including polkas and waltzes as well as big band, ballroom, and country music. In addition, while performing for shows/entertainment, Rod plays current pop music, show tunes, 50's and 60's, country, ethnic tunes, specialty numbers and much more. Rod has been nominated three times for the Minnesota Ballroom Operators Association " Band of the Year" and has won national awards from the Entertainment Operators of America five times. Over the years Rod has performed with Frank Yankovic, Myron Floren and many others. In addition he has entertained John Kennedy, Hubert Humphrey, Al Gore, Ronald Reagan to name a few. Rod and his wife, Judie, have 5 grown children and 5 grand children and have a home in Apple Valley, MN. From Alaska's borders, from coast to coast and overseas, the Alaska Polka Chips have been entertaining with their style of music for every occasion. Marge Ford and her sister Patti are creative songwriters and musicians who love the very music they play and it shows. Every performance is filled with surprises and humor and the best dance music you will find. If you haven't discovered their brand of music, it is time you did. The Alaska Polka Chips perform regularly in Alaska, and have performed in the lower 48 states, from Las Vegas to Atlantic City, and from California to Florida, as well as internationally in Great Britain, Austria, Greece, Italy, the Caribbean and Australia. 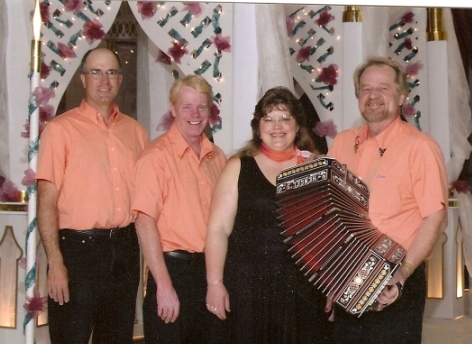 The Alaska Polka Chips play for all occasions and for over 30 years have played at the St. Patrick's Parish Hall for their Third Friday dances. The Alaska Polka Chips also play regularly at the Anchorage Senior Center and the Sons of Norway. In addition, they are in demand for private events and weddings. Dale Dahmen has been running his own band since before he was even able to drive to his performances. Dahmen began taking concertina lessons when he was 6. He said his parents were a big reason he took up the instrument, “My parents were big fans of polka music, but especially concertina,” he said. When he was around 10 years old, Dahmen began playing in polka bands, filling in and playing a few songs. A couple years later, when another band wanted Dahmen to play with them, Dahmen’s father, Ken Dahmen, suggested Dale start up his own instead. “I guess it was because of the entrepreneurial spirit of my folks, why play for someone else when you can start your own band,” Dahmen said, about his parents Ken and Jan who owned Pierz’ grocery store. Dahmen said his parents would drive him across the state and beyond to performances until he could start taking over. His dad would also handle booking his performances until Dahmen was 17. Around this time, Dahmen met his longtime guitarist and friend, Mark Hauck from Foley. This led to Hauck playing for the band for around 30 years before he retired from the band in 2013, when Dahmen’s sons joined the band full-time. Despite being named Dale Dahmen and the Polka Beats, the band soon began adding other genres to their performances. Dahmen said even back then it was necessary to branch out from just the polkas to get jobs. So, Hauck taught Dahmen how to play the bass guitar and the group began adding old country music from performers like Hank Williams to their performances. “Old people liked hearing that stuff. It was what they heard when they were growing up on the farm,” Dahmen said. In the 1990s, the band began moving into 50s rock and country. 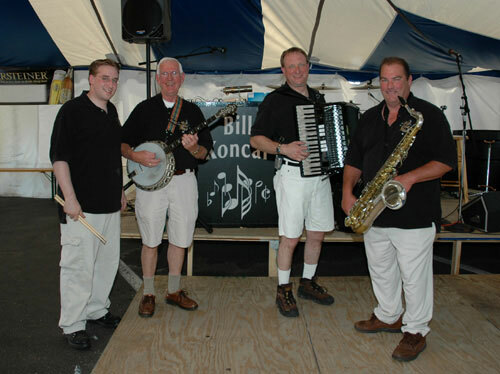 From 1994 to 1999, the Polka Beats became a prominent wedding band, Dahmen said. Music from the 80s and from country singers like Alan Jackson were the big thing during this time Dahmen said. The band was doing a wedding almost every Saturday night back then, he said. Now the band has been split into two. Dahmen still performs with both, but Dale Dahmen and the Beats, which plays a wide variety of music consists of him and his sons Dominick,18, and Samuel, 17. For a time, Dahmen said, as polka’s popularity went down, this band replaced Dale Dahmen and the Polka Beats so the band wasn’t judged as a polka band. Now, the old band has seen a resurrection and Dahmen performs with them at polka festivals and Oktoberfests around the Upper Midwest. Leon Olsen has been a bandleader for over 50 years. While too young to realize it, a music teacher told him that music is a “Universal Language”. Now, years later, he fully understands that statement and has used his musical talents to bring enjoyment to people across the U.S. Playing the Concertina has allowed him to teach over 100 students and receive numerous awards in prestigious musical associations. This past November he was inducted to the Minnesota Music Hall of Fame. New Ulm, Minnesota is his hometown where he and his wife, Anne, enjoy their family and many friends. When he is on the road he is able to see many people, have good times and he loves being on stage. The Leon Olsen Polka Band is comprised of three additional persons. Husband and wife duo, Red and Loretta, plus Tom play the instruments that round out the great genre of music the band plays. Under the direction of Frank Bucar and assistant director Mary Spehar White, “The Singing Slovenes” were formed inthe multi-ethnic community of Gary-New Duluth in 1980. 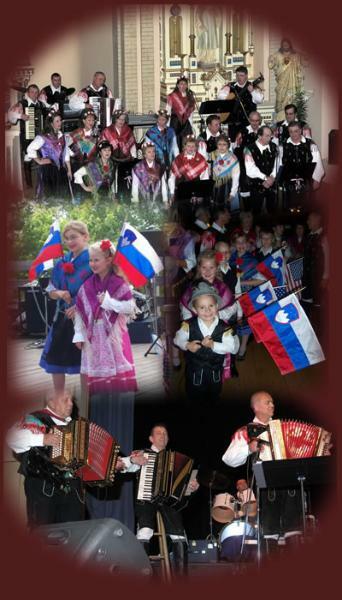 The mission of the Minnesota group is to preserve Slovenian music and cultural heritage. Slovenia is an alpine country nestled between Italy, Austria, Hungary, and Croatia. Though the name of the troupe is indicative of the Slovenian heritage, the group boasts a wide and varied number of nationalities. The “Singing Slovenes” represent countries far and wide; Slovenia, Croatia, Italy, Germany, Denmark, Poland, France, Norway, Finland, and Sweden. Sharing the joy of their musical heritage helps promote good fellowship and love of their neighbors through the use of their time and talents. These performances are educational as well as entertaining. Dressing in native costumes for performances at educational facilities gives the students the opportunity to experience other cultural attire. There are also geographical and language lessons that transpire during the course of the performance. The singers also appear at festivals, senior centers and nursing homes, as well as area churches with their musical ministries. Instrumental accompaniment for the troupe is provided with accordions, guitars, and drums. “The Singing Slovenes” promote fellowship through music and cultural education, sharing the Slovenian heritage and preserving it for current and future generations. 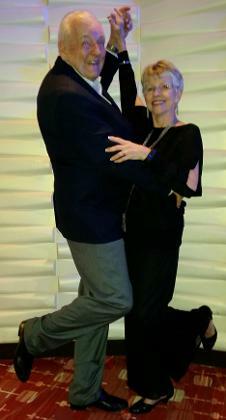 Dance instructor Eric Jaakkola was the first to teach the hop polka in the Minnesota Ballrooms. Intrigued by dancing as a boy, Eric kept his dream alive from his native Finland to Minnesota. Fascinated by dance contests he stepped onto the floor with his first individual lessons and his feet haven’t stopped moving since. His fluid moves and smart turns offered him the chance to capture audiences on television, cruises, ballrooms and festivals. He has taught thousands of people, but more importantly to embrace the enjoyment of dance. What is Eric doing now? 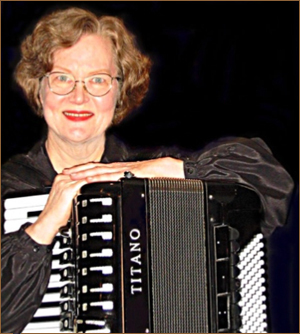 Accordion Concertina Music teacher and studio operator of Burnsville, MN, and Superior, WI Concert and Entertainment Performer on accordion-family-instruments, USA and European tours Performer and Presenter at major festivals throughout USA; twelve years at Ironworld Discovery Center USA during Chmielewski Polkafests. Frequently quoted and recognized as a world authority on accordion construction and repair Recipient of numerous national and international awards. 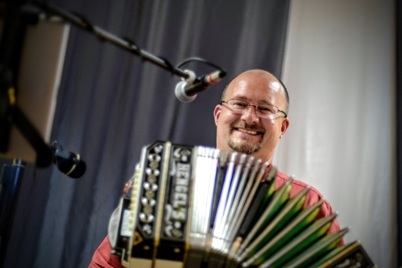 Helmi will demonstrate instrument repairs; performance techniques; play popular and virtuoso pieces on multiple accordion types, solo and with other featured musicians. Favorite demo/lectures: Inside the Accordion; Memorization Techniques, Interpretation: and more!